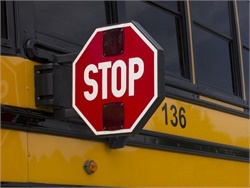 Assembly Bill 934 and Senate Bill 371 would require school districts to install internal and external cameras on buses to capture images of vehicles that illegally drive past stopped school buses. 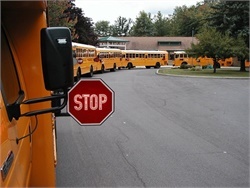 The Yorkville Community Unit School District 115 board of education approves the purchase and installation of 10 stop-arm cameras. 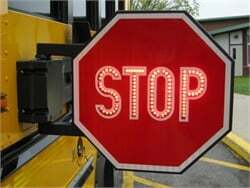 The petition calls for penalties such as jail time and a 90-day driver's license suspension for motorists who illegally pass stopped school buses. 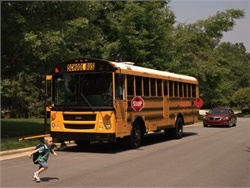 A statewide program aims to reduce the number of stop-arm violations in and around school zones. More than 5,000 drivers have been caught on camera and fined for illegally passing Richmond Public Schools buses. 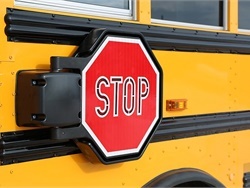 The New York Association for Pupil Transportation asks the state Legislature to authorize stop-arm cameras to enforce state law, which prohibits motorists from passing stopped school buses. 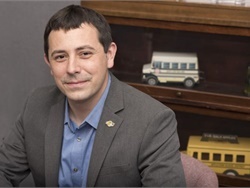 Oak Hill Capital Partners will be the new owner of Safe Fleet, whose brands provide a variety of equipment for school buses. 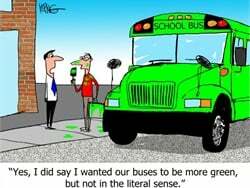 SBF’s monthly “BUSting Up” cartoon targets the humorous side of pupil transportation. 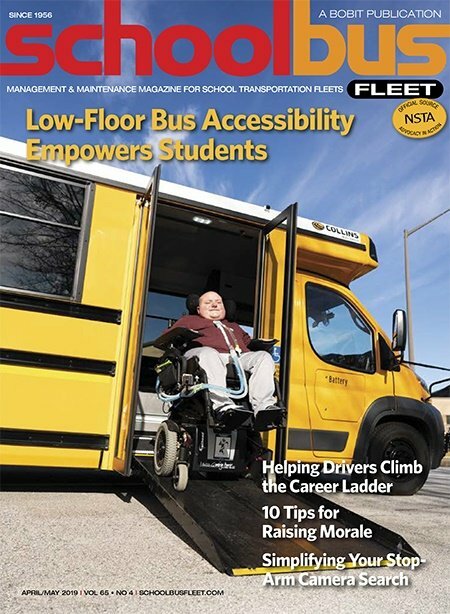 The June through December 2017 entries cover “green” buses, budget woes, and a giant stop arm. Kevin Harrison takes over the role as longtime director Derek Graham retires. 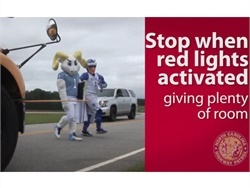 Harrison oversees a multi-pronged approach to crossing safety, including pilots for extended stop arms and bumper-level strobe lights. 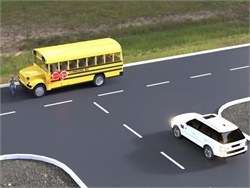 After accidentally passing a stopped school bus illegally, Mark O’Brien came up with a stop-arm design that aims to increase visibility for motorists approaching from the side. 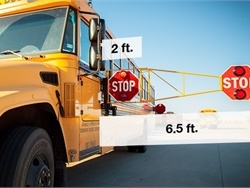 Safe Fleet’s Specialty Manufacturing brand releases the Defender electric stop arm. Its intelligent drive system enables it to reduce wind flutter and overall maintenance costs, according to the company. 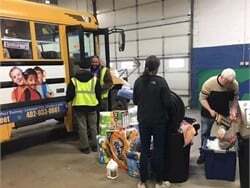 Stories on stop arms, a school bus driver’s retirement after 52 years, and another driver’s tragic death in a crash in Colorado were among the most popular this year. 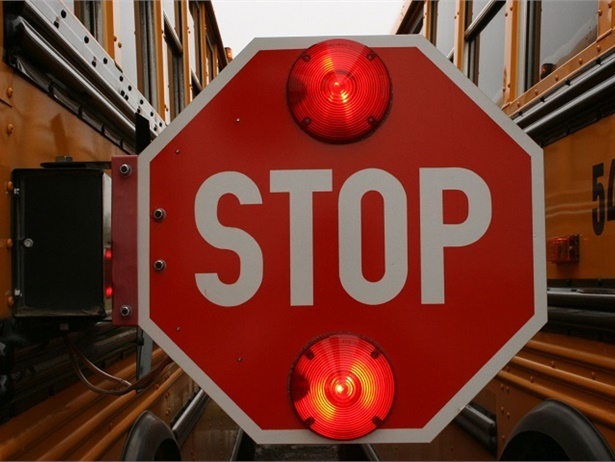 WNCN reminds motorists about North Carolina’s law on stopping for school buses. 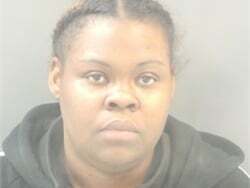 A reporter confronts a stop-arm runner to ask why she did it.